Diet affects everything from how you feel to how you look to your overall health. Certain vitamins and minerals are particularly beneficial when it comes to staying healthy. These vitamins are well-known for boosting the immune system and for their other health-related properties. Men and women derive the same benefits from most vitamins, though there are a couple of special exceptions that will be discussed at the end of the article. Most people think of Vitamin A as coming from carrots and being good for eyesight. Though this is true, Vitamin A has other benefits for the immune system that often go uncelebrated. Vitamin A provides the frontline defense for the body. It can neutralize harmful pathogens before they have a chance to make us ill. Vitamin A works alongside other vitamins but it does play a critical role. Vitamin C is perhaps the most well-known immunity-booster in the nutritional roster. Though most juices nowadays are fortified to have at least 100 percent vitamin C, orange juice is commonly associated with vitamin C and is what people tend to reach for when they are getting sick. There is good reason for this habit: the vitamin C in orange juice does stimulate the immune system. It provides fuel for the body to build good proteins that can fight off nasty viruses and bacteria. Though lesser-known than its glamorous cousin, vitamin C, vitamin E is increasingly being recognized for its health benefits. Like vitamin C, vitamin E helps the body build proteins that combat sickness-causing germs. Vitamin E is also known for its antioxidant properties, meaning that it destroys damaging free radicals in the body, which can prevent diseases and illness. 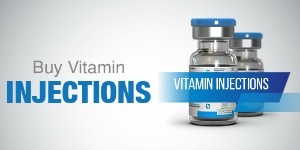 In this way vitamin E prevents problems that could compromise the immune system later. Zinc — the final item listed on supplements claiming to contain vitamins A through zinc — is last but certainly not least. When the immune system has been overwhelmed and the body gets sick, particularly with the flu or the common cold, zinc is one of the best minerals to be sure your body gets. That is because zinc fights symptoms if you are already sick and can cut recovery time in half if taken quickly after the first signs of illness appear. For this reason zinc syrups, lozenges, and supplements are popular items during flu season. Zinc helps you feel better so your immune system can work harder to keep you healthy in the future. Some people may remember taking cod liver oil as kids. Your mom promised you that it would make you strong and healthy… And she was right. Though fatty acids are not the first thing most people think of when it comes to keeping the immune system strong, omega-3s do wonders for health, particularly in men. Omega-3s help the body build white blood cells. These white blood cells then patrol the body, destroying any pathogens that can cause illness. There are eight different B vitamins that form the B vitamin complex. Combined, they not only combat lethargy in women, they also increase white blood cell counts. Just like omega-3 fatty acids for men, B vitamins for women aid the immune system with higher numbers of white blood cells. These cells protect the body by destroying bacteria and other germs that, if left unchecked, would lead to sickness. The vitamins and minerals above enhance the immune system. It is best to get these vitamins from food sources when possible, though dietary supplements can also be a good line of defense to keep you well. If you are looking for an all-inclusive vitamin supplement to help boost your immune system, consider our Immune Vitamin Injection Kit.